We may be in the month of September, but she’s not ready to say goodbye to her summer wardrobe yet. Here in London, there are some sunny days ahead of us before packing up our summer styles and replacing them with our winter clothing. Considering summer isn’t technically over yet, she’s decided to take full advantage of these last few weeks of sunny days. Her chic street style is everything I love about these sunny days. 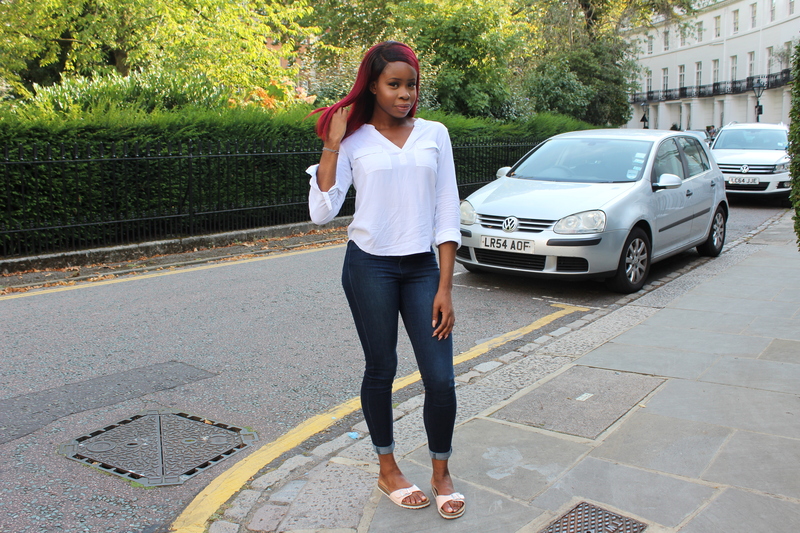 Opting for the laidback yet affordable chic look, Tosin is wearing a white shirt and jeans. She pairs it perfectly with her black tassel bag and slippers. 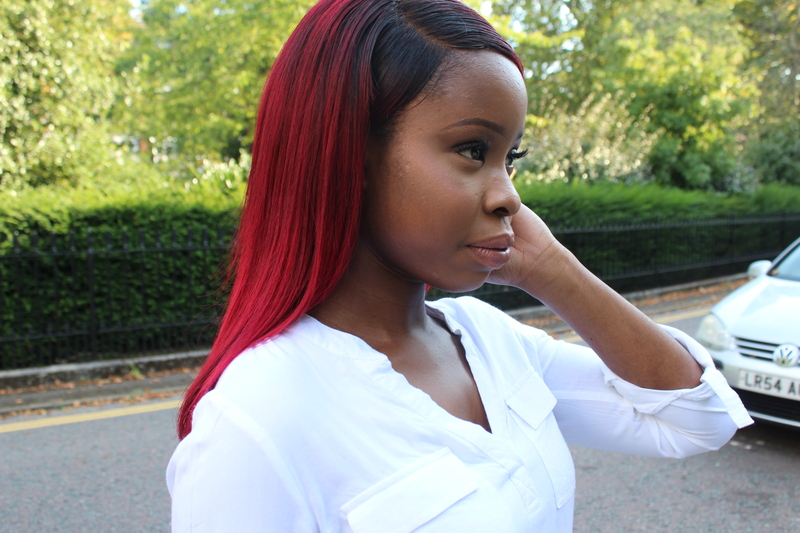 Thank you, Tosin for sharing your chic street style with us! I love your minimalist look! Want to be featured in my next What She Wore? Snap pictures wearing your favourite outfit, write the reason why you love your outfit and submit it to my email afbunmi@gmail.com. I can’t wait to see what you come up with. OMG! The Best Box Braids Ever! 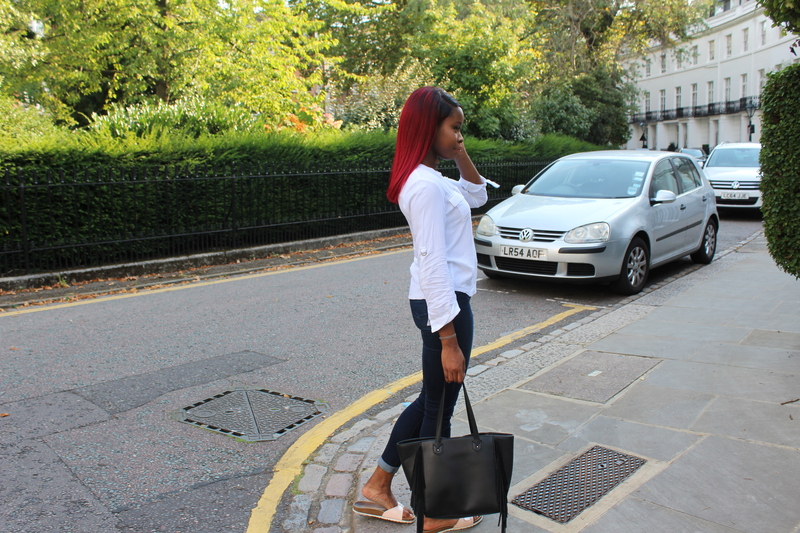 Loving Tosin’s chic and laid back look. Need a hair color like that!